The penultimate round of the 2014 European Le Mans Series took place yesterday at Paul Ricard, with McKenzie and his team mates confident of a good result. Qualifying got underway on Sunday morning from the South of France circuit, with a strong performance from the JMW Motorsport team to secure 6th on the grid for the 4h LMGTE series race on Sunday afternoon. Daniel McKenzie was in the car first for a 2-hour stint behind the wheel of the Ferrari 458 Italia GT. With podium finishes in the previous two rounds and the team lying third in the championship overall, it looked hopeful for another strong weekend of racing. Daniel made a great start to his session, driving well and gaining two places early on, bringing the car up to fourth, and eventually taking first place in the LMGTE class towards the end of his stint. Mckenzie brought the car back to the pits to change drivers in second place. A very solid drive from Daniel, laying the early foundations for his team mates later on in the race. 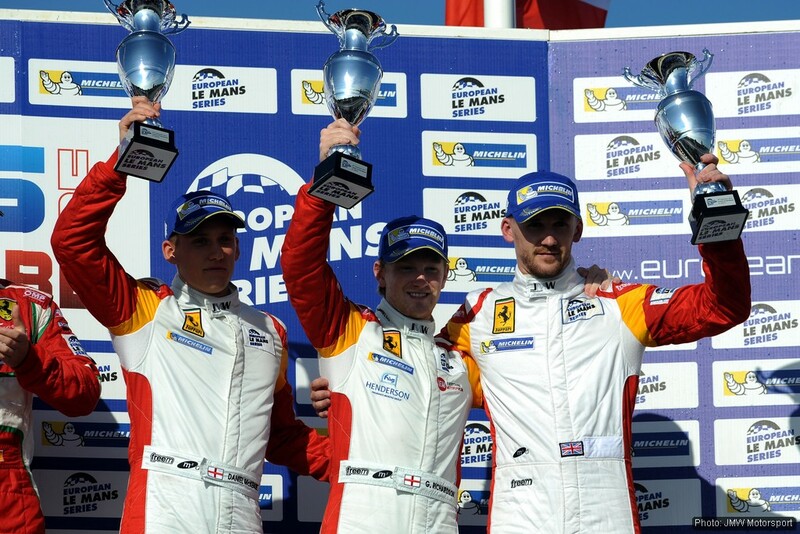 A good performance by both team-mates, James Walker and George Richardson, resulted in the British trio getting their third consecutive podium of the season, gaining a third place finish at Paul Ricard. 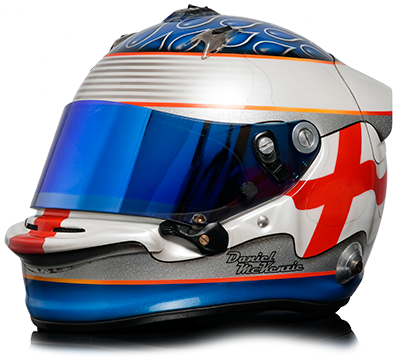 McKenzie and his team, JMW Motorsport, will be going to the final round of the 2014 European Le Mans Series at Estoril in Portugal on the 19th October and will be hoping to secure a top three finish in the drivers championship. This entry was posted in Race Reports 2014 and tagged Circuit Paul Ricard, ELMS, Ferrari 458 GT, JMW Motorsport. Bookmark the permalink.